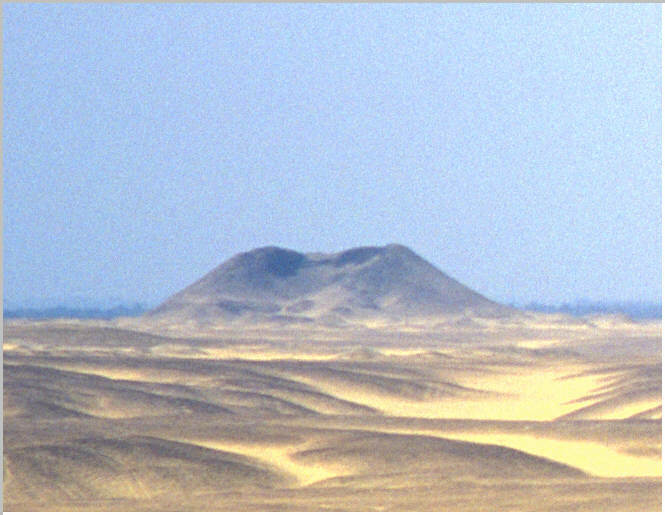 The mudbrick core of Senwosret's pyramid as seen from the pyramid of Djedkare-Isesi at South Sakkara. The large depression in the centre was caused by excavation work when Jacques de Morgan first excavated the pyramid in 1895. The pyramid is very difficult to reach. It is impossible (as far as I can determine) to enter the site from the Dahshur road, due to the close proximity of the oil refinery. The best approach is a track through desert (30 minute walk) from the area of Pepi II, or trying to find the site, just east of the pyramid, on the flood-plan nearest the complex.